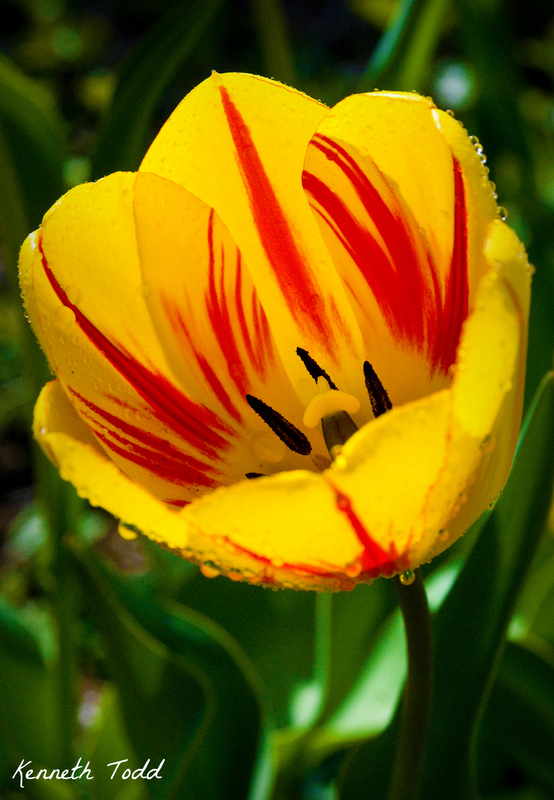 I told you I would be back to shoot more Tulips. This time I was in a different neighbors garden. They probably think I am nuts creeping around their gardens photographing their flowers. How can I resist? Today I have done something that I don’t normally do. I am posting 3 shots. trying to choose my favorite is like trying to choose a favorite child – IMPOSSIBLE! tks, I think so too. I see how difficult it would be to choose just one! I find the first one most desirable. Tks for your comments, appreciate it. the one thing I miss about gardening in massachusetts? tulips! 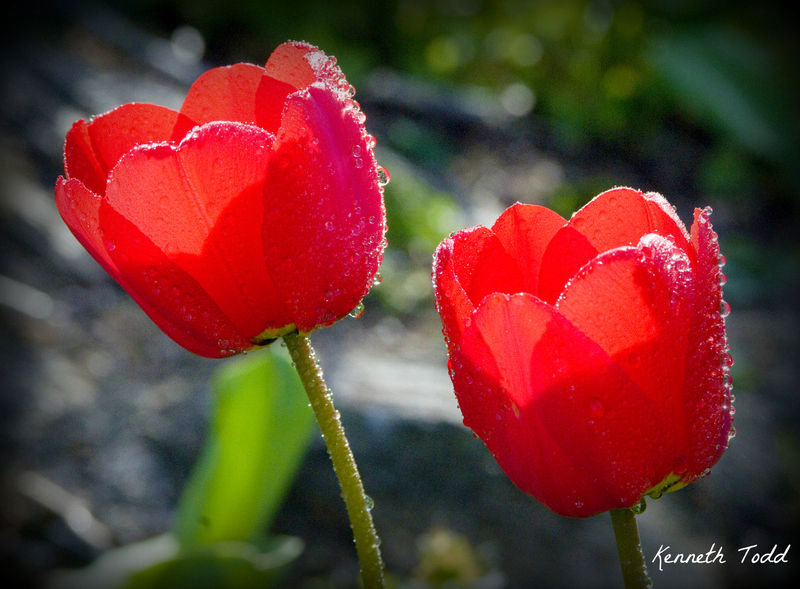 I had such a beautiful tulip garden there but down here they just cant make it!! They are awesome aren’t they. Don’t last too long here unfortunately. I love your photos! One photo a day for a year sounds fun! Tks for that, appreciate the comments. Excellent captures, especially with the water droplets. Nice work! Tks david, appreciate the input. You’re right – no way to choose. I’m sure your neighbors understand. All you would have to do is show them your results. You captured the Creator’s handiwork, didn’t you? I believe I did. Thanks for stopping by again. Thanks Inga, appreciate the comments. What a great detail, and the bokeh is to die for in all of them! Stunning photos. Vivid colours and so sharp. Very painterly. Excellent shots. 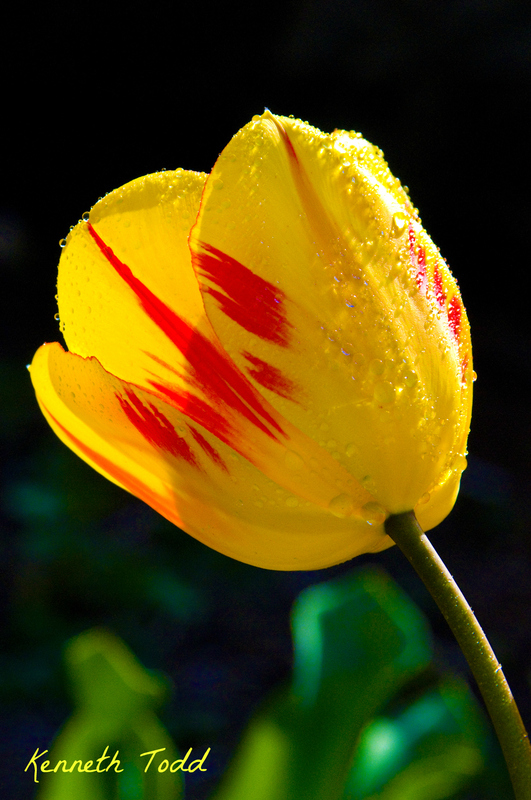 I have an upcoming trip with the 50+ group from our church to the Tulip Garden. Can’t wait. Great shots. It has inspired me to go take pictures of flowers today. Did you spray them yourself ?